That bright OLED display can show you plenty of info. But before it can be displayed, data must be entered and this is where the trade-off between the cool, sleek design can run head-on into issues of usability. Entering info like, say, the name of an artist using a specific channel requires going letter-by-letter using a single knob — not much fun. The TG 1000 does include “Chameleon,” a comprehensive software program that can handle chores like this (and a lot more), but that requires being connected to a network. It would be nice to have a simple USB port on the unit to attach a standard keyboard for these kinds of basic set-up tasks. The package I received for this review included the TG 1000 receiver and handheld mic with the TG V70 dynamic hypercardioid capsule as well as a beltpack and the TG L58c clip-on condenser mic for the second channel. On the gig, I used the handheld with a female vocalist and the belt pack with my sax player. I always hate it when a review spends most of its space talking about all of the cool stuff and then any issues the reviewer may have found are just tacked on to the end. It can have the effect of making a great piece of gear seem less great when anything negative is at the conclusion. So let’s take a little detour now and talk a few things I found problematic before getting into how things went on the gig. It’s been a long time since I have used beyerdynamic gear, but I always remember being impressed with the sound, and that has not changed. 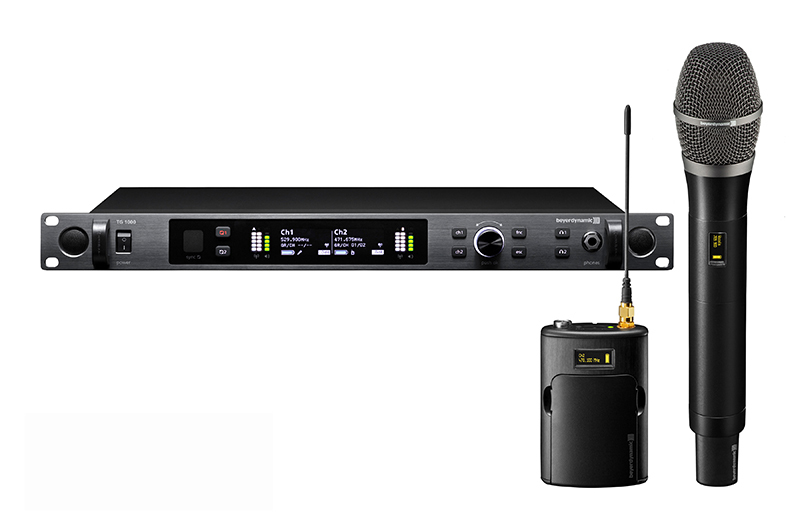 Between world-class mic capsules and 24-bit A/D/A conversion, the TG 1000 system sounds great in a variety of applications. And, operating in the UHF band, there are fewer potential interference opportunities than some other digital wireless rigs operating in the higher, unlicensed 2.4 and 5.6 GHz bands. But therein lies the first potential issue. The TG 1000 is a high-end, fully pro unit, and designed for engineers and educated end-users. However, if you search for it via one of the online retailers, you’ll find it on a page that may also have links to sub-$200 acoustic guitars and trumpet mouthpieces. However, its hugely wide transmitting bandwidth (470-789 MHz) includes large swaths that are no longer usable in the U.S. That this system can be used anywhere in the world is great for touring. And the cost of the system (right at $3K per channel depending on the transmitter and mic capsule) is going to result in some self-selection. In other words, it’s unlikely that a band in a van is gonna buy one of these for bar and club gigs. But if they were to do so — or if, say, a U.S. house of worship were to purchase the system — the very ability to operate in frequencies that the FCC has told us to clear out of could be problematic. Bottom line: If you’re considering the TG 1000, it’s incumbent upon the user to know what frequencies are safe for operation. My other real issue with the system? beyer offers a choice of six different capsules for the system, but I would like the flexibility to use it with a variety of other capsules. beyer makes some great stuff, but they are rarely in the top two or three mic entries on tour riders. At first glance, it appears that the handheld mic uses the industry standard (1.25”/28-thread screw-mount) connector that currently allows me to say, pair a Heil capsule with a Line 6 transmitter. But the housing of both the beyer handheld and capsules are reversed from what one would expect. On a standard capsule, the threads are on the outside of the capsule and on the inside of the transmitter. On the TG 1000, the threads are inside the capsule and outside of the transmitter. You can buy an adapter that allows for use of capsules from another manufacturer, but we did not get one with this system and could not make a head-to-head (pun intended) comparison. And on a system this pricey, it feels like spending a grand on a cell phone and then needing an adapter to use your existing headphones. However, besides a variety of dynamic and condenser vocal capsules (including the TG V90W cardioid ribbon capsule), of special note is the TG MM1w measurement mic head, which is ideal for calibrating P.A. systems. The Chameleon software is built-in. The TG 1000 receiver sets itself up as a Web server and, once connected to a simple wireless router, that built-in software is accessible via any Web browser. Being browser-based means that Chameleon is platform-agnostic. Mac, PC, Android, iPhone/iPad —whatever. If your device can connect to the network and run a Web browser, it can run Chameleon. The colors of this Chameleon cover a huge spectrum. You can name a channel and set the RF power output of the transmitter (10/50 mW) and tell the system if it is using alkaline or rechargeable Ni-MH batteries. You can manually set transmitter’s frequency (as opposed to using the infrared sync function), enable/disable digital encryption and set the gain of a handheld or beltpack’s audio level. You can also access both a general frequency scan of a venue and do a more specific “walking test” to suss out any potential dead spots on the stage. anti-climactic. And that’s not a bad thing for a wireless with this range of capabilities. Other than a pilot error that meant having to re-sync the transmitters to the receivers (after syncing, one must confirm the frequency sync by pressing the control knob, Doh! ), everything worked. There were no dropouts or weird audio artifacts, and both the handheld and the sax mic sounded great. The TG 1000 system is not something I would entrust to a non-technical singer, for example. But I look at it like this. With great power comes great responsibility, and the TG 1000 is made for engineers and wireless professionals who understand that. 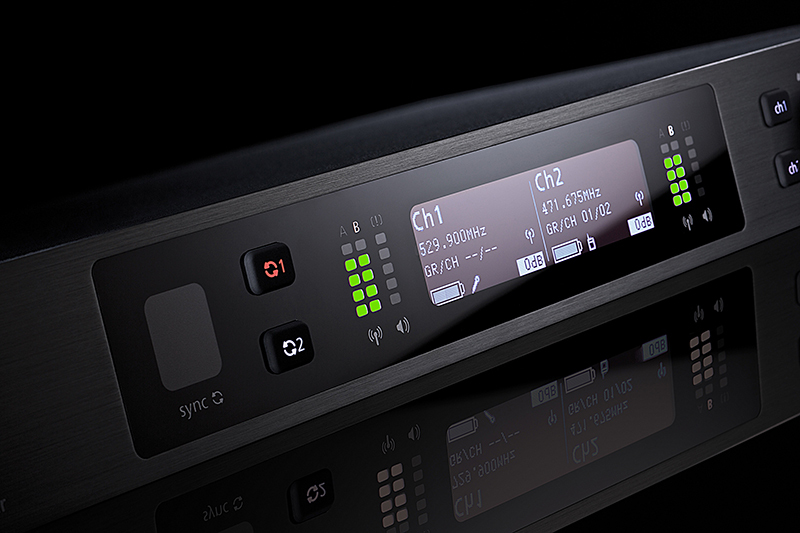 Combining high-end performance, a range of capsules and global frequency operation, the TG 1000 provides pro-level features such as network control, web-browser-based access and both Dante and analog outputs. Prices (street): TG 1000 receiver, $2,499; TG 1000 handheld, $799 (less capsule); vocal capsules are $129 to $639; TG 1000 beltpack, $799.